Looking at the blue sky in that photo, it’s clear that this was a long time ago. After a gloomy weekend in Prague, I’d love to see the sky like that again! Last year, Dr HH and I spent the summer visiting places in the UK we had previously neglected. On our way home from Cornwall, we broke the drive with a stop in Bath. I was rather shocked at how many tourists there were, but I can certainly see the attraction – it was a charming little place. And fortunately, it’s also vegan friendly! We went to Green Rocket Cafe for a bite to eat. It was a nice little place, with this rather interesting sign on the wall. The menu was really inviting, for both vegetarians and vegans. It was a hot summery day, so I went for the raw spaghetti, which is available as either a starter or main. 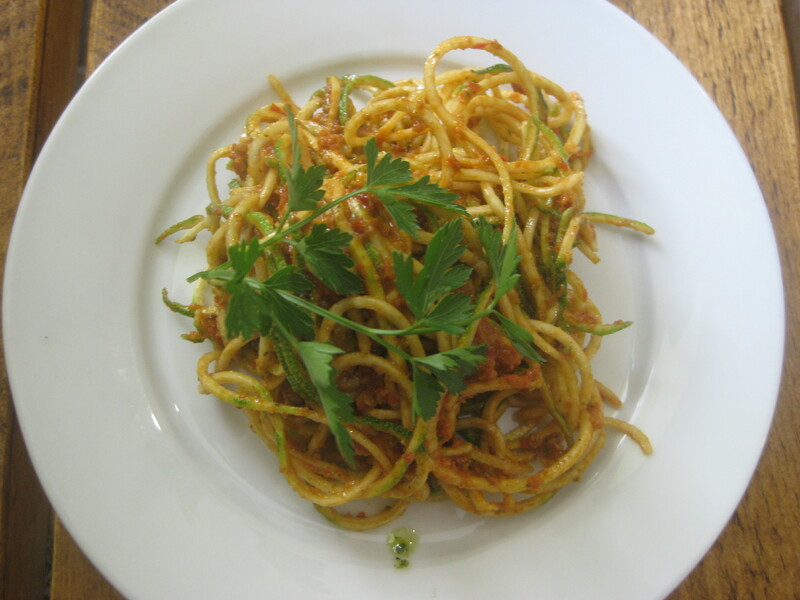 Oh, it was good: refreshing courgette noodles in a light, tasty tomato sauce. There was lots of flavour and a really nice texture. This was just the starter – I was saving room for cake. There was an extensive list of cakes and baked goods on a blackboard on the wall, and everything available that day had a tick next to it. (A few people seemed to struggle to grasp that, and kept having their hopes dashed whenever they tried to order.) 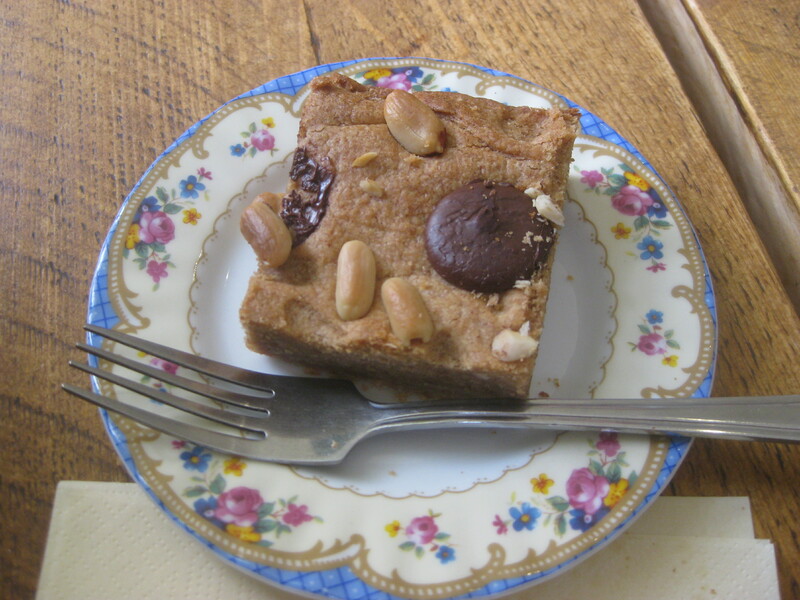 I went and had a look at the cakes before ordering anything, because that’s the kind of person I am, and when I saw that there was only one peanut butter and chocolate blondie I had to order it immediately. It arrived before the spaghetti did, and the waitress told me it was a smart move on my part, as someone else had just tried to order it. YES! Of course, that meant I had to endure a long wait before I could eat it, but that just made the event itself more enjoyable. Actually, it could have done with a bit more chocolate, but there was a fantastic crust and a lovely sticky peanut butteriness to it. I’d be quite happy to have another one of these today – and the lovely weather that accompanied it! 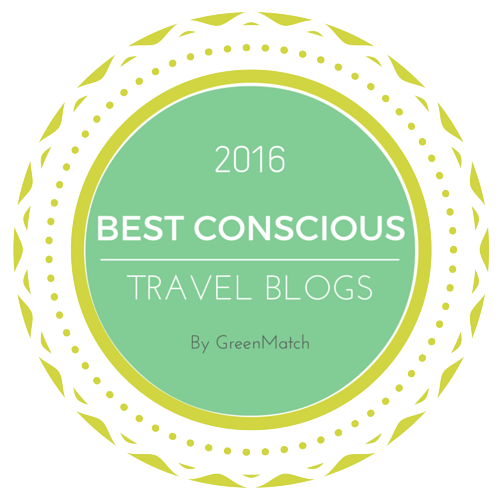 This entry was posted in Travel and tagged Green Rocket Cafe Bath, vegan Bath, vegan travel. Bookmark the permalink. 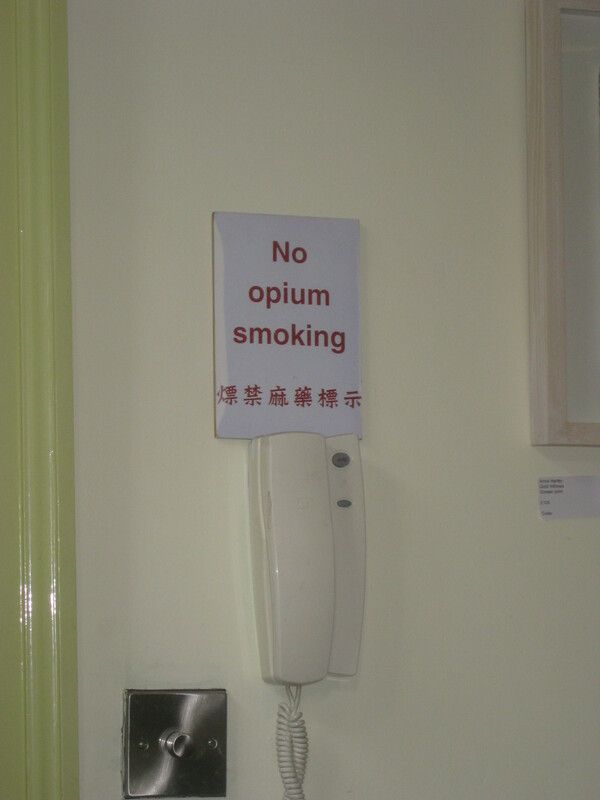 I had no idea people still smoke opium! Seems like the retro-hipster drug addiction. Also the Chinese translation! Baffling! Yes, at first I assumed you were going to a chinese food restaurant. Maybe they found the sign somewhere and thought it was funny? 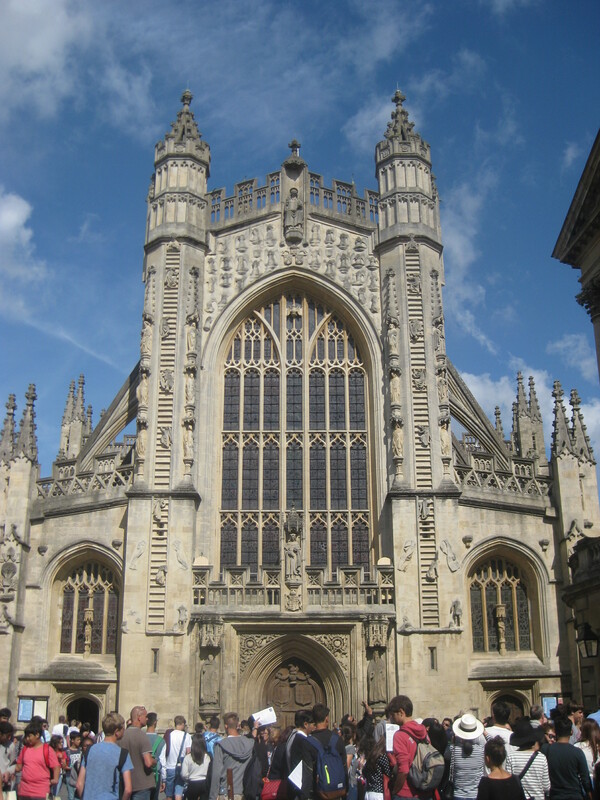 I do like Bath, particularly its vegan friendliness. I’m so impressed that you ordered the brownie before dinner – that’s the right way to do it! It has revolutionised the way I order desserts! It does require a lot of willpower though.